Celebrate Spring on the ESPLANADE! 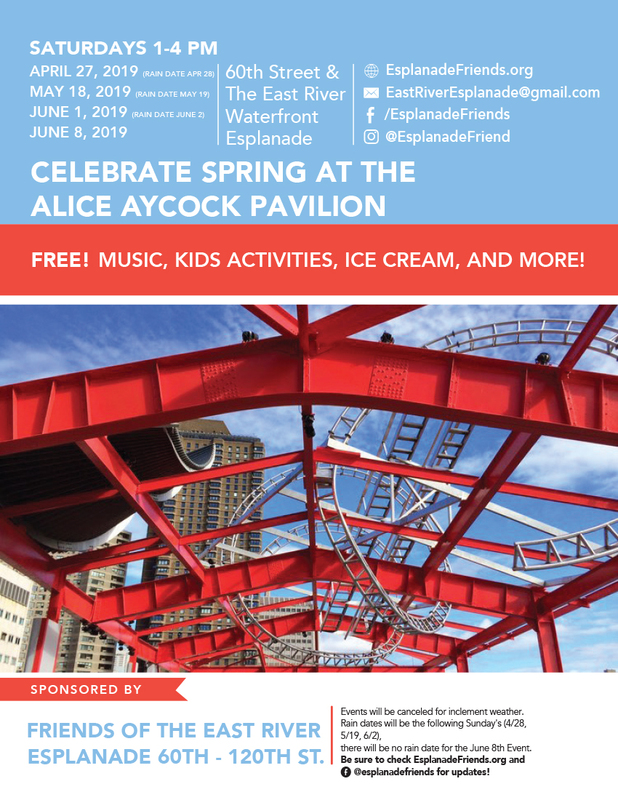 Join us out at the Alice Aycock Pavilion 60th Street & East River for FREE live music, ice cream, face painting, arts & crafts and more. NOTE: In the event of rain this event will take place on Sunday June 2.